Unlike the many comparisons that you may have read before where the goal is to prove that one camera is better that another, the situation with the Nikon D810 and Nikon D750 is very different. 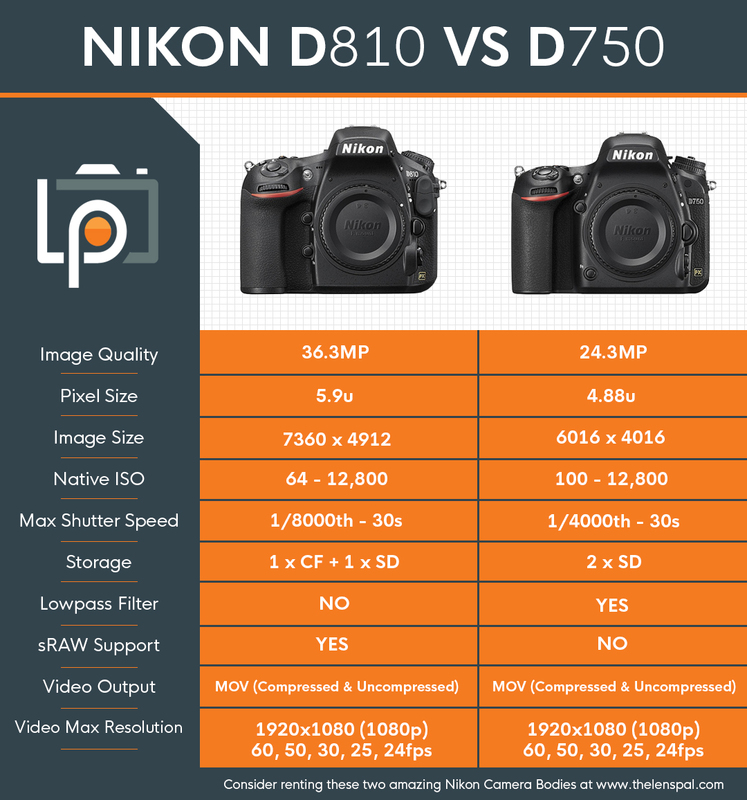 First off, although both cameras are full frame the Nikon D810 and the D750 differ greatly in sensor technology so therefore one cannot draw any conclusions on image quality differences as most images will be down sampled to virtually the same resolution. 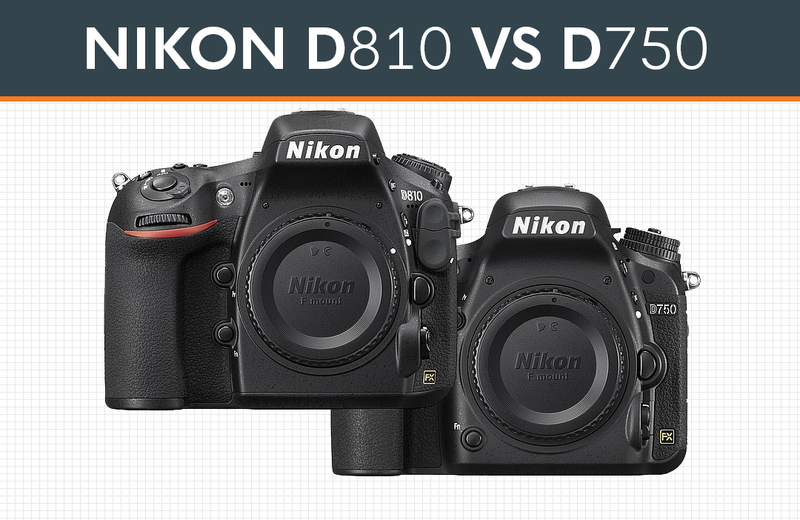 The D810 has a very high resolution of 36.3 million pixels (36.3 MP), while the D750 has a 24.3 MP sensor. Over the years, sensor technology has matured to such a level that most sensors behave similarly. The D810 however, will most likely hold the dynamic range trophy with its impressive low light performance together with its Pixel-Level sharpness thanks to the omission of the Optical Low-Pass Filter (OLPF). The D750 at its native resolution can shoot 6.5 frames per second, whilst the D810 can only handle 5fps due to the size of each captured image. When it comes to the shutter speed the D810 takes the lead with a maximum shutter speed of (1/8000s), allowing photographers to freeze motion at higher speeds with greater clarity. The D810 also has the ability to shoot sRAW, while the D750 does not have this capability (although using sRAW may not always be a wise decision). The ergonomics of both of these cameras is designed in such a way that it fits perfectly and comfortably into any hand. While the D750 stands out as the smaller and lighter camera, with a superb autofocus system, a tilting LCD, and great exposure bracketing. In comparison the D810 has fantastic quality due to the larger image and pixel size. The D810 also stands out in every low light situation with its ability to shoot at ISO 64. 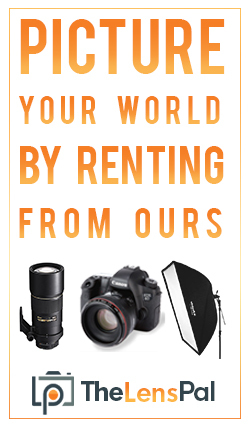 So, which one of these cameras is best for you? It all depends on your priorities as well as your budget. The ability to blow up images to large sizes without pixelation makes the D810 a perfect choice for the dedicated landscape, portrait, or architecture photographer. For most other users the D750 would make a more than excellent choice, This is because in reality, most people will not have the need for 36.3 megapixels camera, however, many of you will appreciate the sharpness that the D810 provides. At the end of the day no matter which camera you choose the D810 or the D750, both provide amazing image quality for every photographer, and skill level.